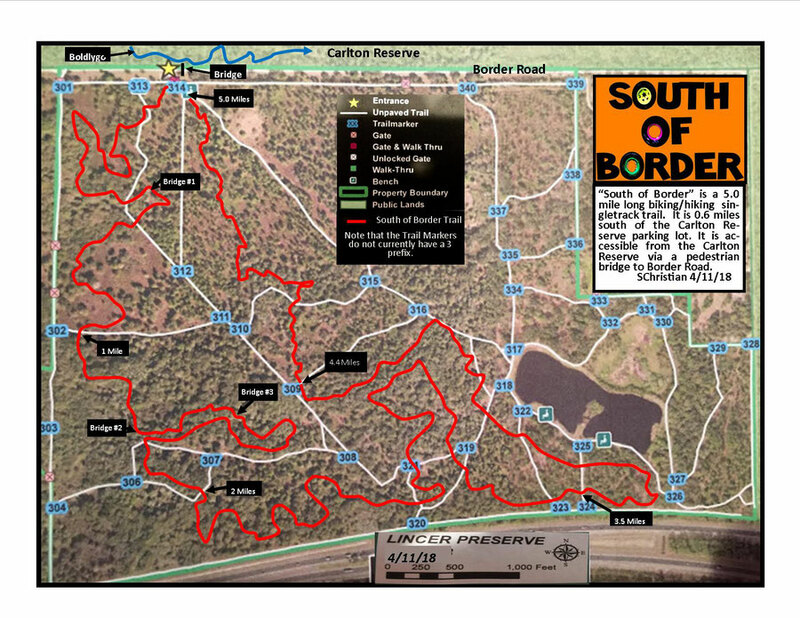 The South of Border Trail has been completed and is ready to ride. 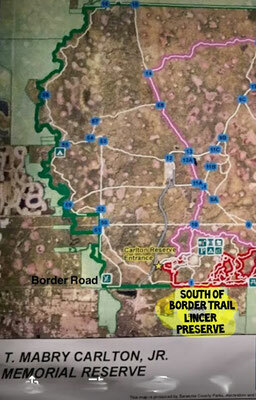 The South of Border Trail in the Lincer Preserve is accessible from the Carlton Reserve. The trailhead is located 0.6 miles south of the Carlton Parking Lot. It is accessible via a pedestrian/bike bridge that connects the Carlton Reserve to Border Road. You will see the bridge to the right off of Boldlygo at about .6 miles. South of Border Trail with navigation posts and doubletrack trails. 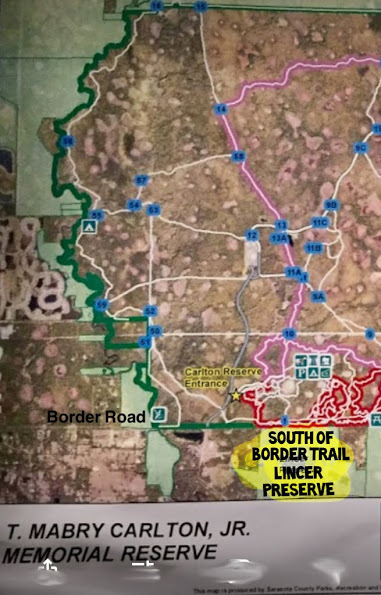 The South of Border Trail in the Lincer Preserve is accessible from the Carlton Reserve as shown in the picture below. It is about .6 miles south of the Carlton Parking Lot. It is accessible via a pedestrian/bike bridge that connects the Carlton Reserve to Border Road.